On a visit to a London women’s shelter, Marnie and DS Noah Jake arrive to find resident Hope Proctor’s husband lying stabbed on the floor. As they struggle to save his life, no one can explain why he took a knife to the refuge, or how the conflict with Hope began. Hot on the heels of Luca Veste (see my earlier review), and another new debut rising star in crime fiction is about to take the stage. 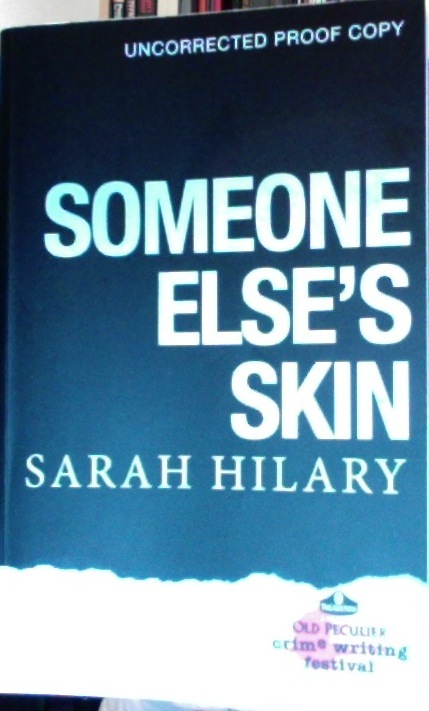 Sarah Hilary’s first novel featuring DI Marnie Rome kicks off with a prologue which knocked me for six – quite possibly the most intense few pages to the opening of a crime novel I have read in some time – a powerful mix of drama, scene-setting and moving fiction which sets the tone of the book and its central character so well, I was hooked. And then, on the next page, she did something powerful again – she threw me headlong into the opening scene – accompanying Marnie and Noah as they face the discovery of Hope Proctor’s husband lying, stabbed and bleeding before them. It’s a double-whammy of scenes that pulls the reader into both Marnie’s past and the case she faces. With the tough subject matter of domestic violence at its core, I’ll be honest and say that I didn’t think this book was really my thing, but how wrong was I? Just goes to show that, in the right hands, a tale well told is a tale well told and here is clearly someone who knows just how to pull readers in, slam the door behind them and keep them there for the duration. There are plenty of twists in the narrative to keep the reader guessing along the way and, although not heavy on the gore, when the author decides to up the violence, she’s one to be feared. And, in Marnie Rome, she has created a great new dragon-slayer and ball-buster for the crime fiction world. Although not available until early 2014, I’d strongly suggest you get your pre-order in now – it’s available on amazon HERE. Thanks, Keith, for this great review. Particularly like the idea of slamming doors and keeping people prisoner while they read…! Thanks, Keith, for this great review. Particularly like the idea of slamming doors and keeping people prisoner while they read..! Sound very criminal to me.